Bâtard is a Modern European restaurant situated in the heart of Tribeca. 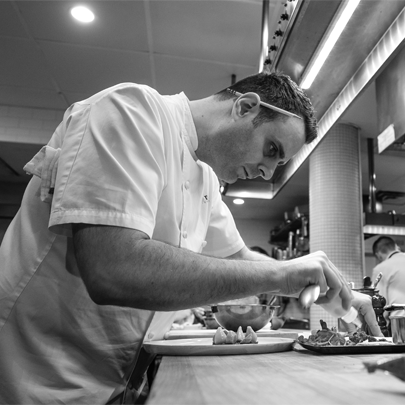 Bâtard is open six evenings a week for dinner. 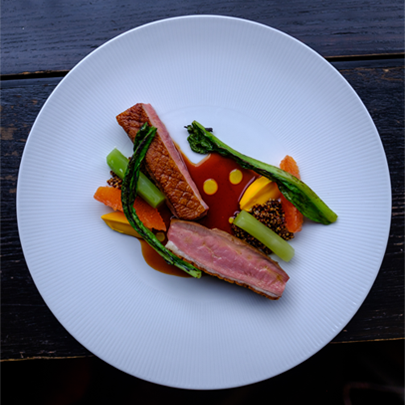 The menu focuses on classic cuisine with a focus on quality, seasonal ingredients and draws inspiration from Chef Markus Glocker’s diverse background and experience. 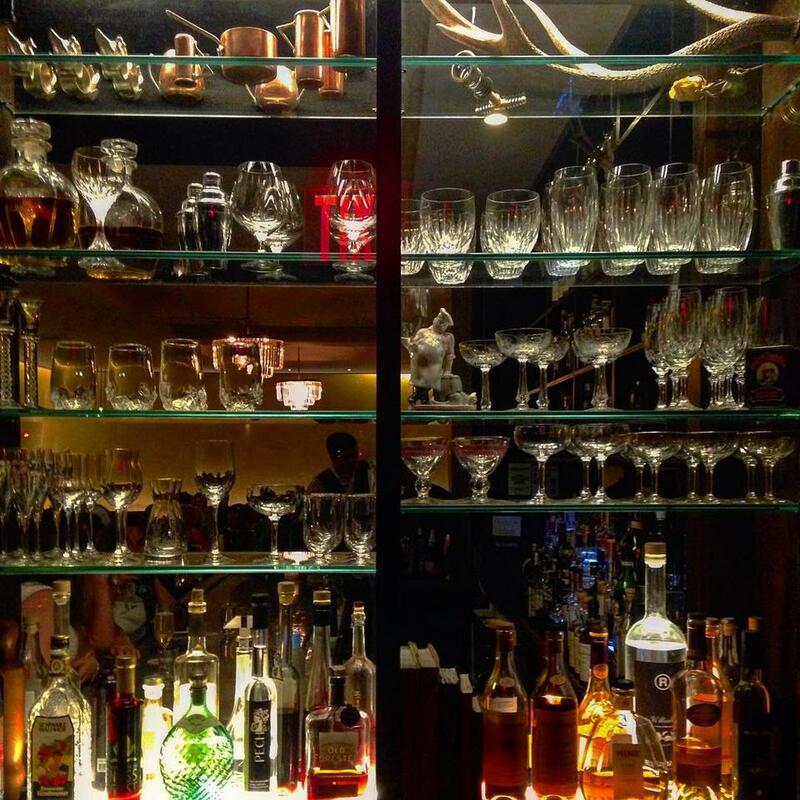 Our extensive wine list includes over 800 wines from around the world, or if you prefer, we offer a full bar with signature cocktails. 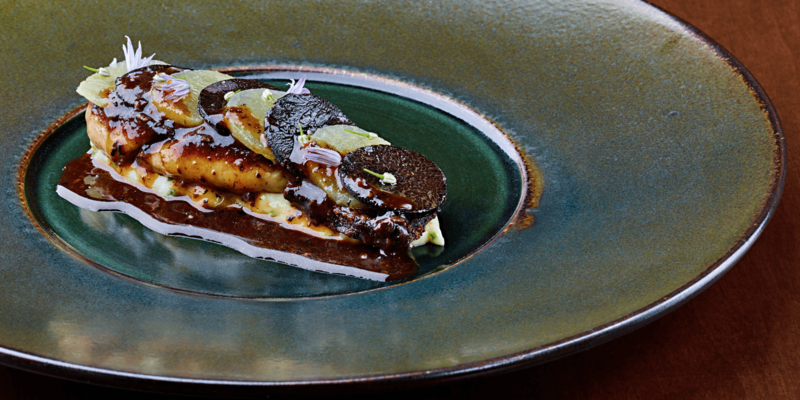 Authenticity and honesty are at the heart of each dish we plate at Bâtard. 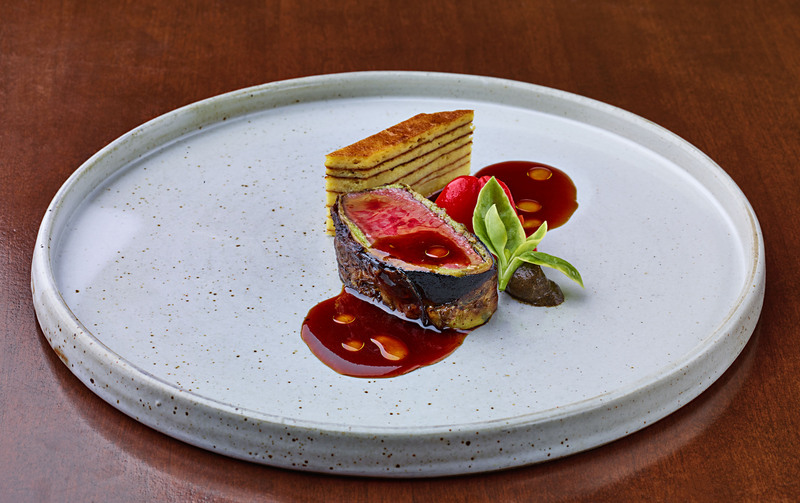 Our Micheliin-starred restaurant offers an experience of “refined simplicity,” wherein guests can enjoy the very best ingredients. manipulation. It's all about flavour: simple, but elegant - classic flavors with new techniques. 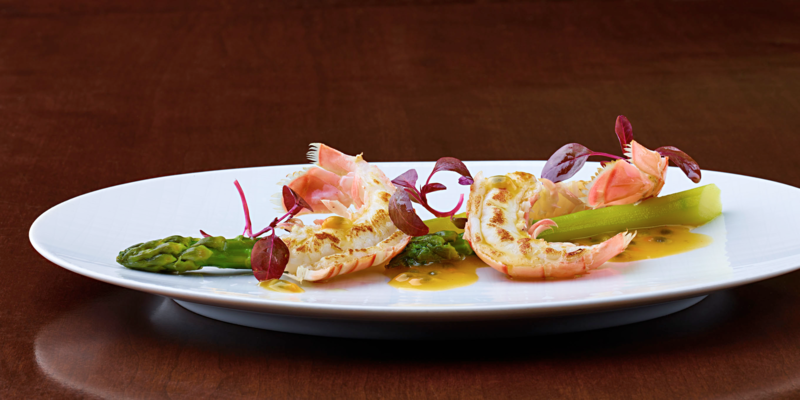 Bâtard combines classic style with a relaxed, downtown vibe. The 65-seat dining room designed by Glen Coben takes advantage of an open plan with clear sight lines. The temperature has been gently raised on the interior which features twirling vine bas-relief walls that lean in flush with a tobacco-resin hue and banquettes covered in dark leather and mohair. Bâtard is a Modern European restaurant situated in the heart of Tribeca. 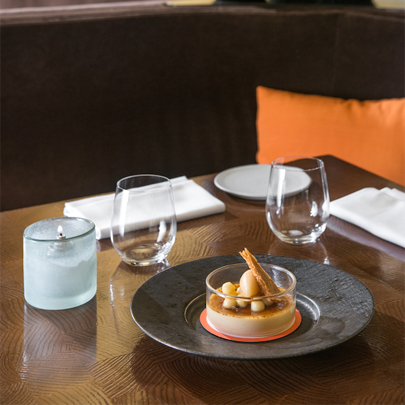 Bâtard is open six evenings a week for dinner, Friday lunch and pre-theatre. Markus Glocker and John Winterman were destined to work together years ago, though they did not know it at the time. 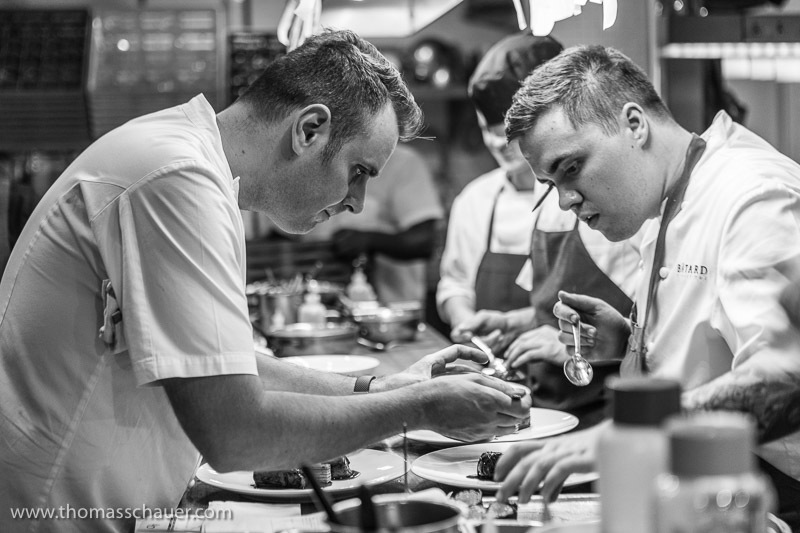 They shared a history in Chicago at the legendary Charlie Trotter’s and while John was already well entrenched in a move to the West Coast when Markus moved to Chicago, it was this mutual experience that led them to meet in New York and become good friends. They found they had a similar approach to service, cuisine, philosophy of life, champagne and whiskey, and shared a love for the always diverse and inspiring New York restaurant industry. They both wanted to one day create their own restaurant and bring all their ideas together. 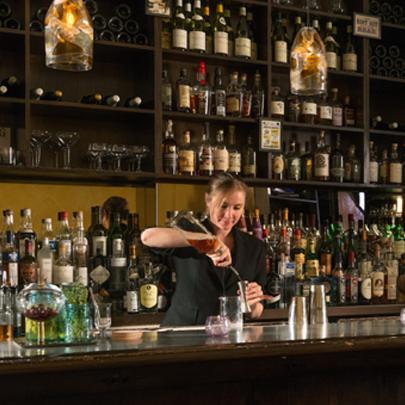 After years of hearing, “When are you going to open your own place,” and many pints at the Spotted Pig, it was an encounter with Drew Nieporent that set what was to become Bâtard in motion. 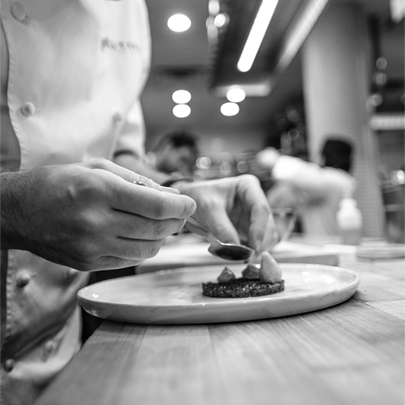 Bâtard is the culmination of three lifetimes of experience – The Chef, The Maitre d’ and the Restaurateur and the desire to create something truly distinctive together. The next stage of the journey has yet to be written. 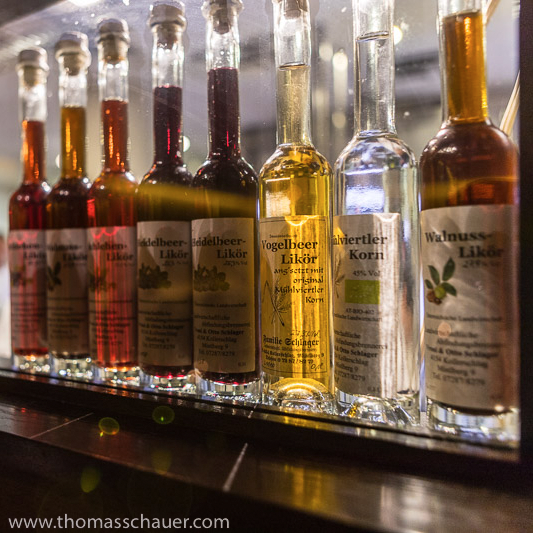 Markus Glocker has hospitality in his blood. Born in Austria, he grew up working in the family hotels, where his appreciation for the culinary arts became a passion. He attended culinary school in Linz, Austria, and having already shown a talent and discipline suited to the fine art (Glocker studied classical music as a young student), he excelled under the singular pressures of the kitchen. 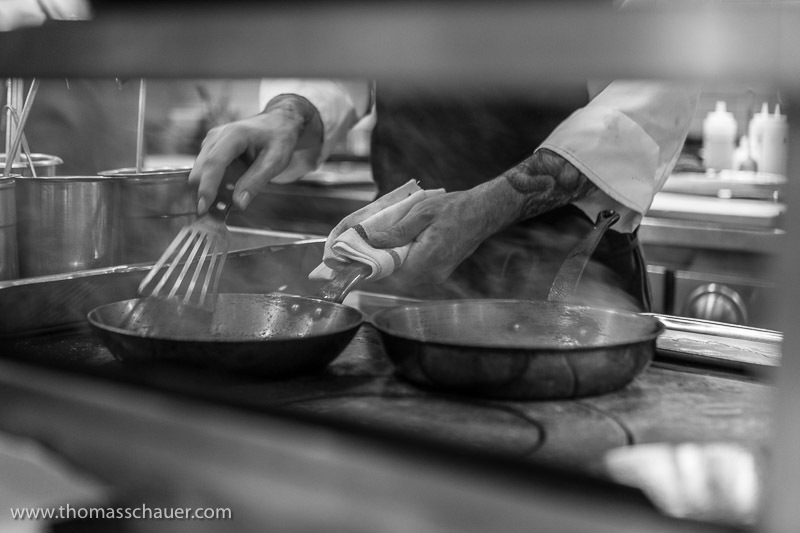 After culinary school, Glocker joined Munich’s renowned Restaurant Vier Jahreszeiten. 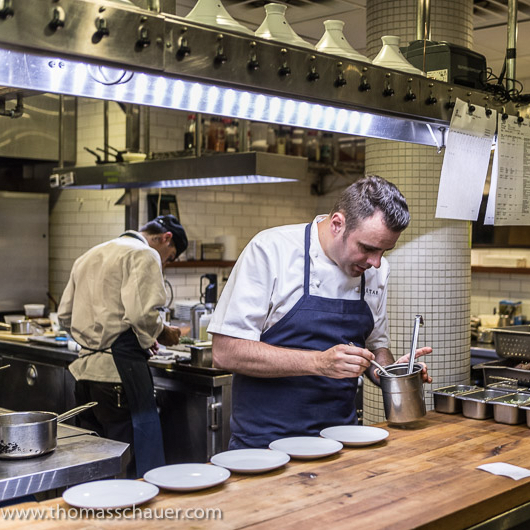 Over several years he excelled in top kitchens all over the world, notably Restaurant Eckart Witzigmann in Berlin, Charlie Trotter’s in Chicago, Restaurant Steirereck Vienna, and Gordon Ramsay in London and New York (which received two Michelin stars during his tenure). 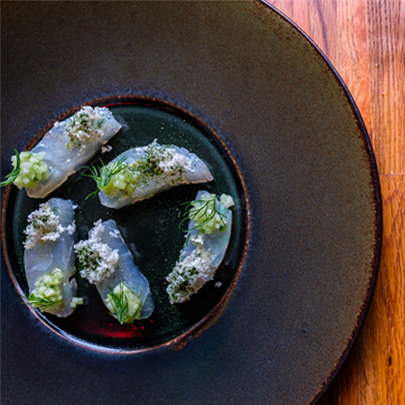 Glocker’s talent finds full expression at Bâtard, the Tribeca restaurant he opened with restaurateur Drew Nieporent, and managing partner John Winterman. 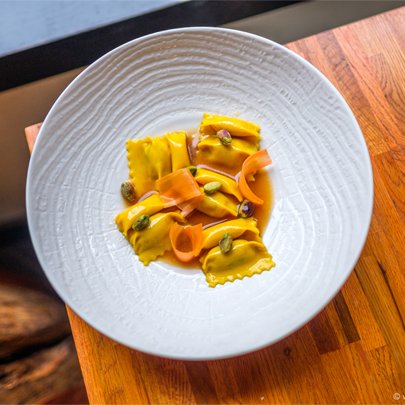 Located in the iconic space that previously housed Nieporent’s Montrachet and Corton, At Bâtard, Glocker’s years of cooking crystallize with a cuisine defined as much by ebullient, rustic Austrian heritage as Glocker’s refined precision and an ingrained, family-style love of hospitality. 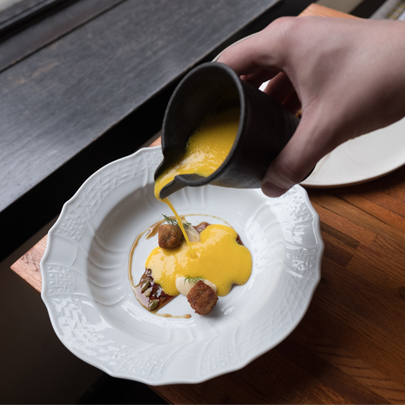 Fashioned with what New York Times critic Pete Wells calls “a sniper’s accuracy at the stove,” Glocker’s dishes are both robust and refined, including modern interpretations of Austrian traditions like schnitzel and tafelspitz. His Octopus Pastrami is already a new classic. Born and raised in Indiana, John Winterman was in college when he learned that cuisine is more than three vegetables and overcooked meat. He has distinct memories of the first time he tasted foie gras, Kobe beef, and wasabi and drank a 1928 Cheval Blanc. 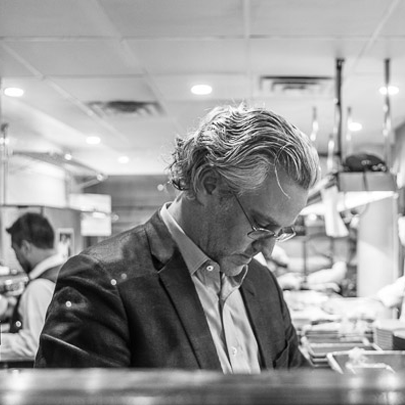 For the past 20 years, Winterman has worked in front-of-the-house positions for such notables as Charlie Trotter, Gary Danko and Daniel Boulud, most recently as maître d’hôtel of restaurant Daniel. Along the way, he became a certified sommelier and an expert in artisanal cheeses. 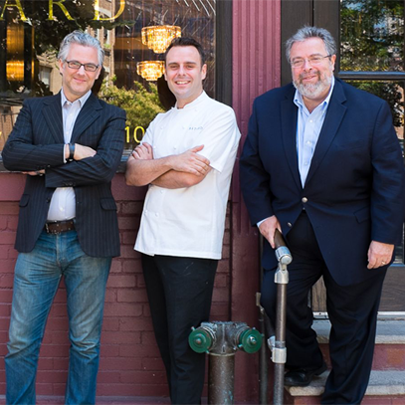 John, as Managing Partner, has now joined forces with Chef-Partner Markus Glocker and restaurateur Drew Nieporent at Michelin-starred Bâtard - James Beard Foundation BEST NEW RESTAURANT 2015. A Chicago native, Jason Jacobeit discovered wine as an undergraduate and quickly pledged his professional loyalty to the vine. 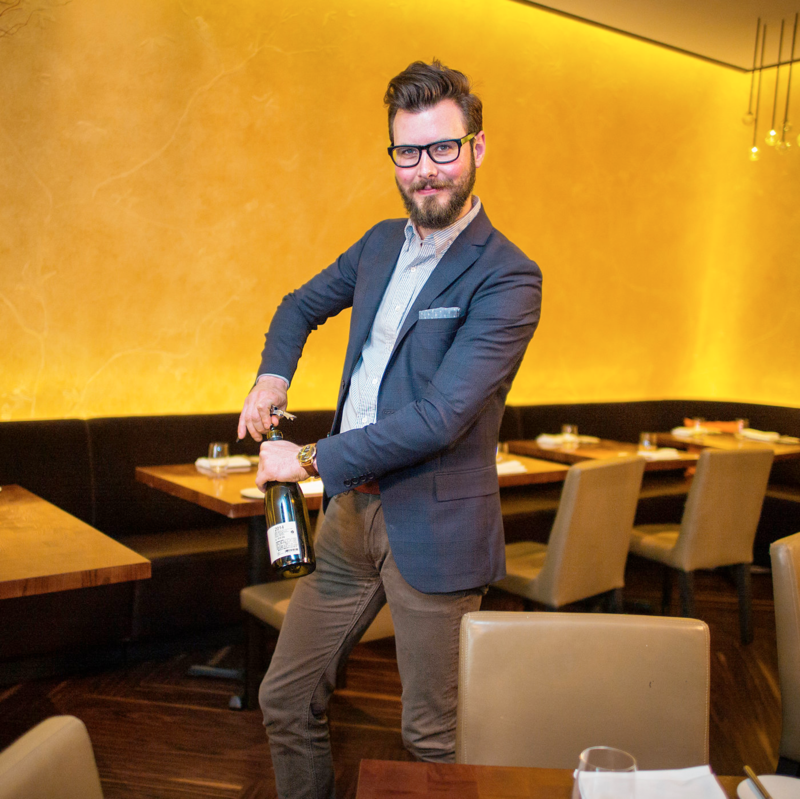 After a three year stint as Sommelier at Jessica’s Restaurant in Middlebury, Vermont, Jason relocated to New York and was soon tabbed as Head Sommelier for Drew Nieporent’s Myriad Restaurant Group. In early 2016, Jason moved full-time to Bâtard to focus on developing its expanding wine program. 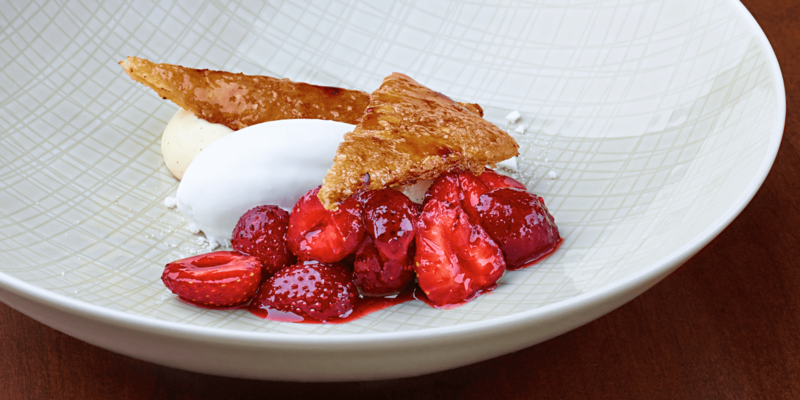 Julie Elkind brings an innovative and passionate approach to crafting delectable pastries reflecting both classic and contemporary dessert trends. As a result of growing up with a family full of incredible home cooks and bakers, Elkind developed a romance for the beauty of food and a talent for cooking at an early age. She developed a sharp palate during her many travels to over 14 different countries before the age of 20. 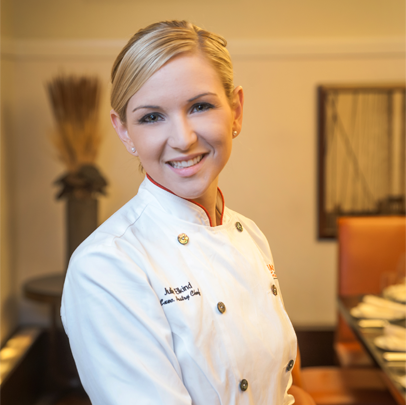 After Graduating from culinary school at 2007, Julie moved to Manhattan and began her culinary career in some of the top kitchens in New York. Some of those kitchens include Le Cirque, La Fonda Del Sol, Convivio, Alto and her breakout career role as Corporate Executive Pastry Chef for Esquared Hospitality and BLT restaurants. During her time there she received much notoriety within the food scene. 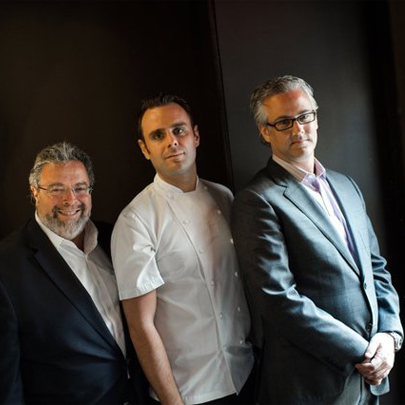 Elkind received the honor of the 2012 Zagat 30 under 30 award along with many other national press outlets including The Today Show, Good Day New York, the New York Times, The Better Show, Martha Stewart radio, House Beautiful Magazine and multiple national publications. She was also featured at the James Beard house is New York City where top chefs showcase their food to industry peers and food enthusiasts. "obscene deliciousness... memories of dishes lingered for weeks afterward"
"the chef, Markus Glocker, has a sniper’s accuracy at the stove"
"so technically perfect that it caused my vegetable-snob wife to put down her fork and practically clap with glee"
"one of the year's most enjoyable and approachable new restaurant"
"a cheese course that evokes the sensuality of a vacation in the French countryside"
Please Note: Our menu changes frequently so all items may not be available. New York City is the Capital of the World. It is a buzzing hive of history, culture and urban dynamism. In no other city could you dine on scores of cuisines while never venturing beyond the borders. 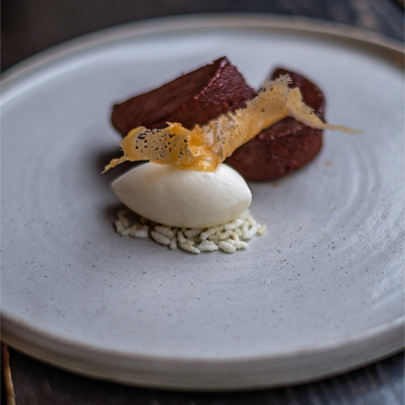 New York City’s limitations may be geographical, but with imagination and a sense of adventure, the treats and flavours are limitless. New York, on the world stage, is a paradise for those who love wine and good food. Its exceptional gastronomical culture along with the outstanding hotels, bars, lounges and clubs offer an unforgettable experience. 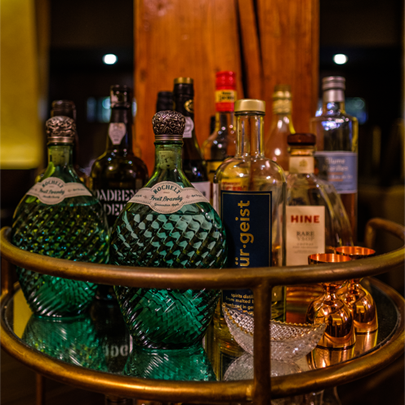 After this brief introduction to the Big Apple, here are some of our choices of some of the better restaurants, bars, and hotels which are divided in different categories. Please, this list is not comprehensive. It is a short list of our experiences after living in New York City for well over a decade. It represents a mere fraction of the infinite possibilities our city holds for the intrepid traveler. We encourage you to do some research and discover the city yourself. caveat emptor: while we encourage you to explore this list, we are not a concierge service and as such unable to assist in booking reservations for you. 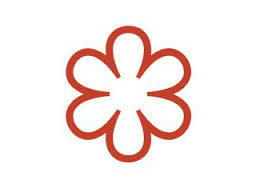 Bâtard Guest Chef for a Day - No experience necessary, just an appetite and a love of cooking! 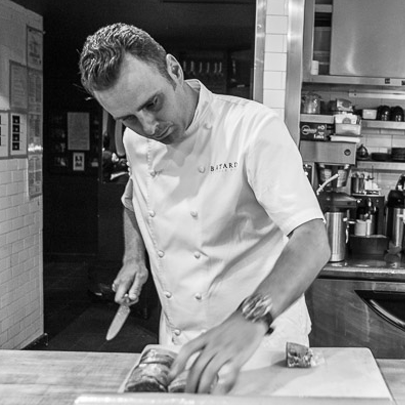 Join Executive Chef & Partner Markus Glocker and his staff in Bâtard’s kitchen from 2:00 pm - 7:00 pm. Our culinary team will show you how raw ingredients can be transformed into an exquisite meal that appeals to all of your senses. You will spend approximately 5 hours in the kitchen. This is a great opportunity to work with ingredients that you love but rarely prepare for yourself or to work on a cooking technique with which you are not that familiar. Call or email Managing Partner John Winterman, to schedule your experience. Email jwinterman@myriadrg.com or phone 212.219.2777, 10.30am – 5pm, Monday – Friday. Available days and times are Tuesday through Friday, with shifts beginning at 2pm and ending at 6pm. A Chef for a Day gift certificate is a wonderful present for your favorite cook. Remember, experience working in a kitchen isn’t necessary. What do I do when I am at Bâtard? What will I cook? 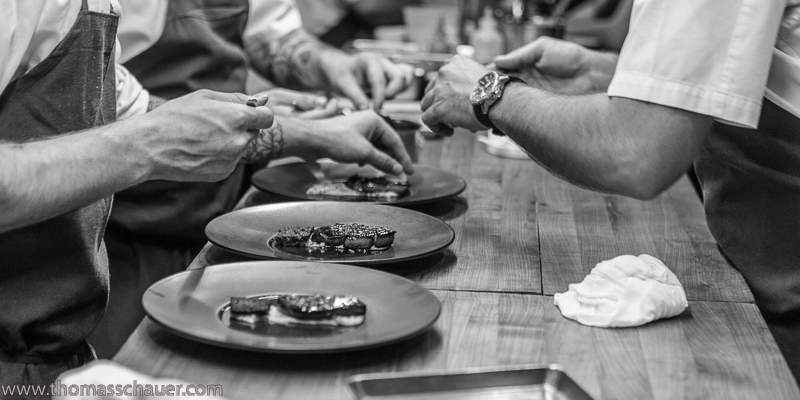 Being a Guest Chef for a Day is tailored to your interests. tending sauces and finishing plates. Or you can spend your entire day in the area of the kitchen that interests you most. Bâtard opens their kitchen doors to make this experience fun and welcoming — this is your opportunity to become a professional chef for a day! The participation fee is $500, which entitles you to a five-hour shift. Different packages are available should you wish to invite a friend (or friends) to join you for dinner later. How do I sign up and reserve a space? How do I cancel my reservation? Purchase a Guest Chef for a Day certificate from our website and we will send you a receipt and scheduling instructions. Available days and times are Monday through Thursday, with shifts beginning at 2:00 pm and ending at 7:00 pm. A mid-week date is recommended. Can I make this a gift for someone? Yes, you may purchase a Guest Chef for a Day gift certificate. Gift certificate information is included in the online form. If you purchase a gift certificate, we can email the certificate directly to the recipient and include a special message from you. Alternately, we are happy to email the certificate to you as well. Are there any limitations (age, health, etc.)? We ask that all Guest Chef for a Day participants be free from any colds or contagious illnesses. Please dress comfortably. For safety reasons, we ask that Chefs refrain from wearing nylons or open-toed shoes. As guest chef, you will be wearing chef whites (a professional chef jacket and pants). How do I get to the restaurant? Is parking available? Bâtard is located at 239 West Broadway, just one block from parking at 84 White St. Alternately you can take subway. We are located one block from the Canal St. A train and one block from the Franklin St. 1 Train. We have packages that allow you to invite and treat up to three guests to a gourmet dinner and wine pairing prepared by Chef Glocker that you can schedule at the end of your shift (at 7 pm). Corporate Office reopens on Monday at 10am. is based on availability of both parties. Not valid in the month of December. For more information contact our Special Events Manager or call 212-219-9500. Questions? Please call 212-219-9500. Once purchased, you will receive a certificate with details to arrange your experience. Fine Print. Participants must be at least 18 years old. Purchaser does not have to specify the date of use: the recipient must make prior arrangements with the chef to redeem a certificate. Certificate valid only for Tuesdays, Wednesdays, and Thursdays. 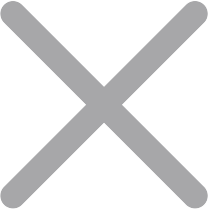 In redeeming a certificate, participant acknowledges that a restaurant kitchen is an inherently dangerous place, with hot pans, open flame, hot liquids, and sharp knives. Participants assume the risk inherent in working in such an environment. Certificates are not redeemable for cash, food, merchandise, or gift certificates. Please do not hesitate to call us if you are unable to find a suitable time on-line, as our availability changes throughout the day. For parties over 8 guests, please contact us directly so we can endeavor to best accommodate you. Due to space limitations, we are unable to accommodate prams in the restaurant. 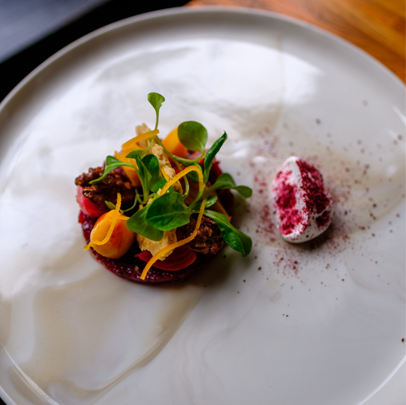 Enjoy Michelin-starred cuisine by Chef Markus Glocker in a beautiful Glen Coben-designed space redolent with a rich history. Once home to the acclaimed Montrachet, Bâtard is now awash in tobacco-resin walls, dark-chocolate banquettes, and a warm, inviting glow. Whether you are planning a 3-course luncheon or an elaborate 6-course dinner, we would be delighted to craft a bespoke experience for you. The space is available for full buyouts and can seat up to 60 guests for a variety of occasions. Standing capacity up to 90 guests. Available for lunch or dinner events, seven days a week. Bâtard is normally closed on Sundays so special pricing may be available. 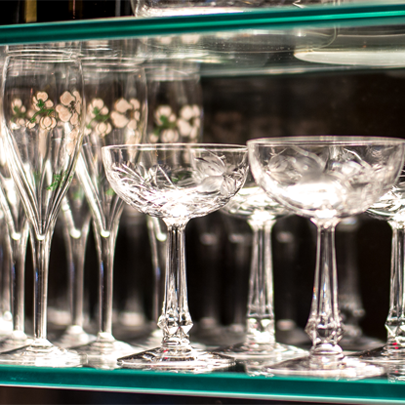 Our current wine list can be found here. We look forward to seeing you soon. 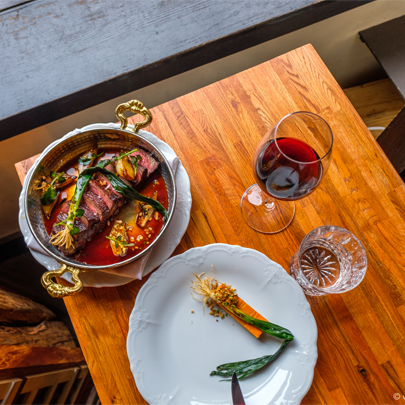 Bâtard Restaurant strives to improve the usability and accessibility of its restaurant website for all users, including those with disabilities. Bâtard’s efforts to improve digital usability and accessibility are guided by the relevant portions of the Web Content Accessibility Guidelines 2.0, Level AA and other existing recommendations. If you experience difficulty accessing or using information on our website, please contact us at info@batardtribeca.com . In your message, please provide your contact information and a brief description of the problem you encountered.